Madhu Koda, who was also imposed a fine of Rs 25 lakh, expressed helplessness in depositing it, saying his bank accounts were frozen and he would have to borrow the amount. 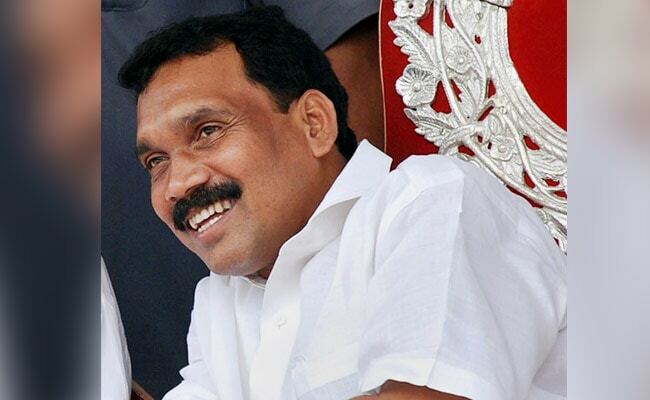 New Delhi: A visibly upset former Jharkhand chief minister Madhu Koda, who was awarded a three-year jail term in a coal scam case today, said he failed to prove his innocence despite his best efforts. Mr Koda, who was also imposed a fine of Rs 25 lakh, expressed helplessness in depositing it, saying his bank accounts were frozen and he would have to borrow the amount. Talking to PTI, Mr Koda said that he would approach the Delhi High Court after reading the judgement and consulting his lawyers. "I had put forth my views to prove my innocence. I am sad because of today's order and I will approach the high court after reading today's order and consulting my advocate," he said. Regarding his fine, he said, "All my bank accounts are frozen. I will try to get debt from someone to pay the fine otherwise face whatever situation arises." "It was not my aim to become MP or MLA when I joined politics. My aim was that how much I can put forth the issues of the public. Though I cannot contest election because of today's order, I will keep working for the public and fight for their rights," he said. Mr Koda was sworn in as the fourth chief minister of Jharkhand on September 14, 2006 and remained in office until his resignation on August 23, 2008. He is the third Independent legislator to assume the office of chief minister in India. Mr Koda is also an accused in another coal scam case pertaining to alleged irregularities in allocation of Amarkonda Murgadangal coal block in Jharkhand. The case also includes Congress leader and industrialist Naveen Jindal, former Union Minister of State for Coal Dasari Narayan Rao and former Union Coal Secretary HC Gupta as accused. Mr Gupta was also awarded a three-year jail term today, along with Mr Koda.